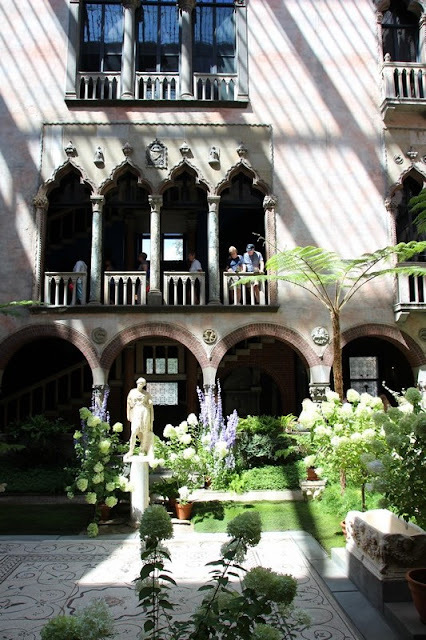 Just back from a great holiday on the East coast during which we spent three lovely days in Boston. 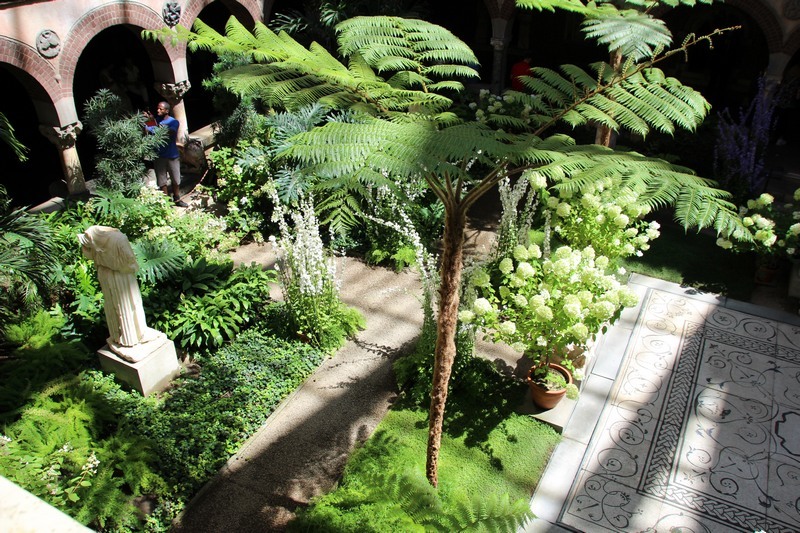 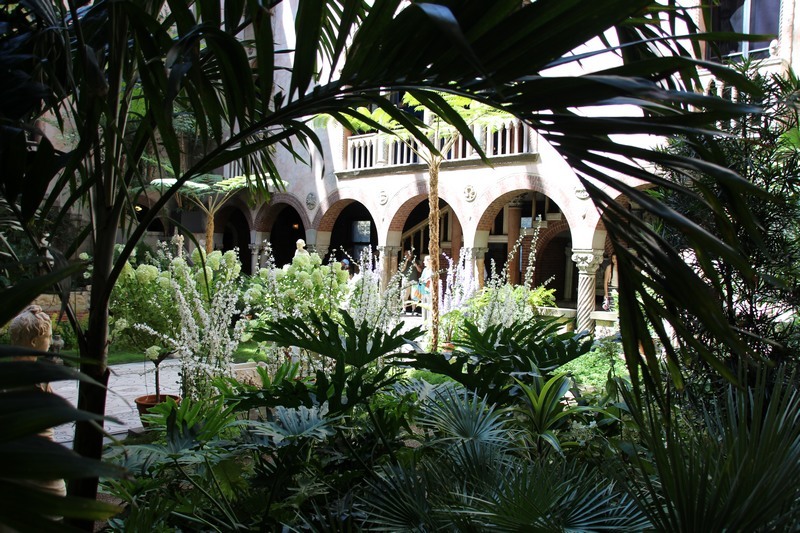 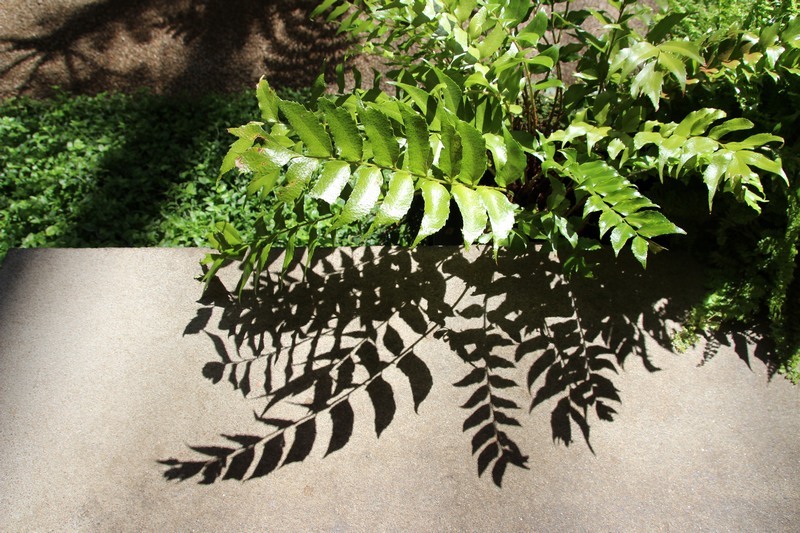 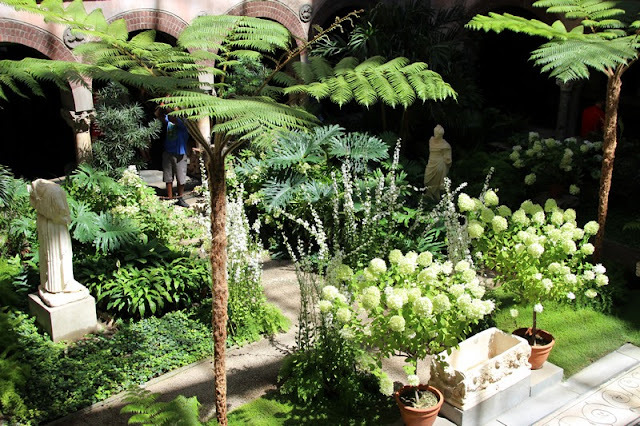 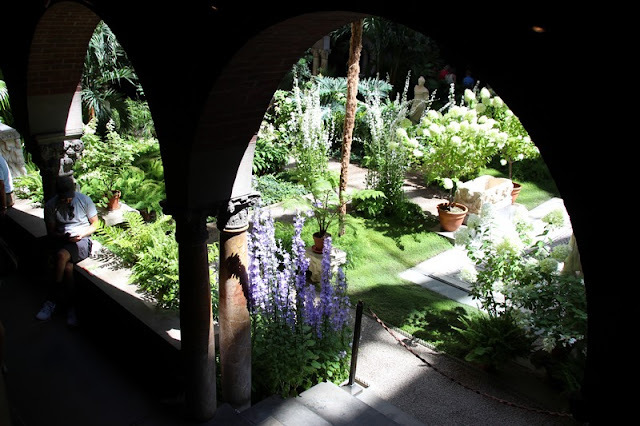 One of the highlights was our visit to the Isabella Stewart Gardener Museum. 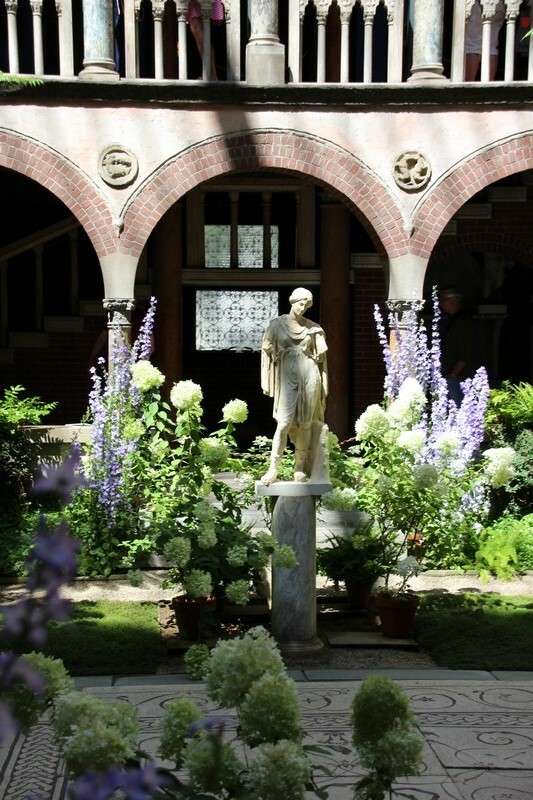 This is housed in what was the family home of Isabella and John Gardner. 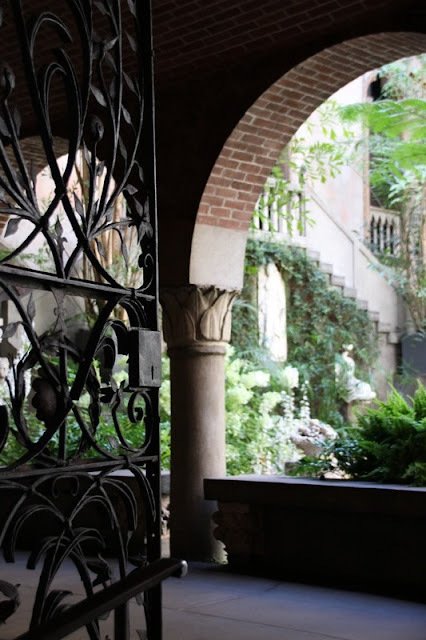 Together they traveled widely, collecting Italian Renaissance art, furniture and architectural items. 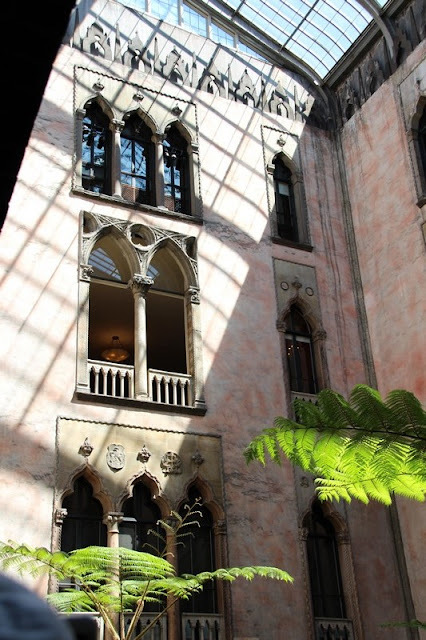 The house she built, that now houses the museum, is somewhat whimsical and said to evoke a 15C Venetian Palace. 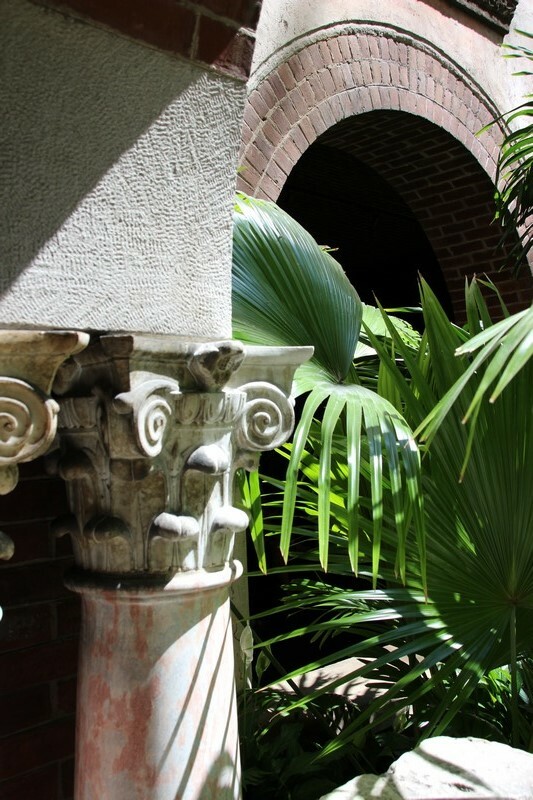 The museum was the subject of a major art theft in 1990 when two thieves dressed as police stole 13 major works of art that have never been recovered. Some empty frames still hang on the walls. The museum was first opened to the public in 1903. The museum surrounds a beautiful glass roofed courtyard, that is visible from all sides and from each floor. 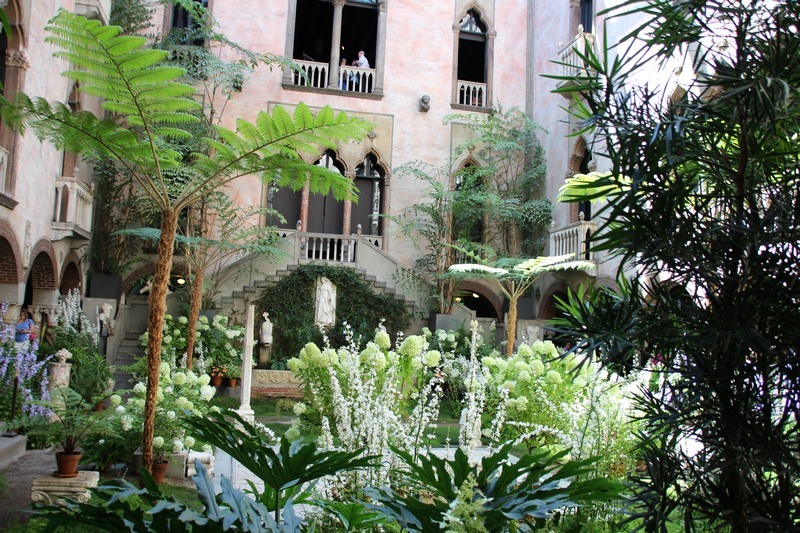 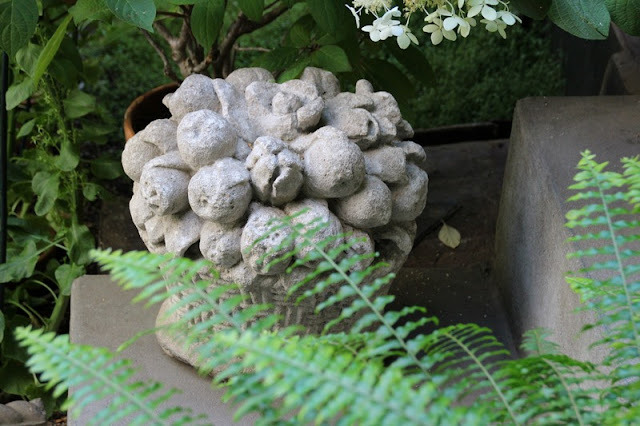 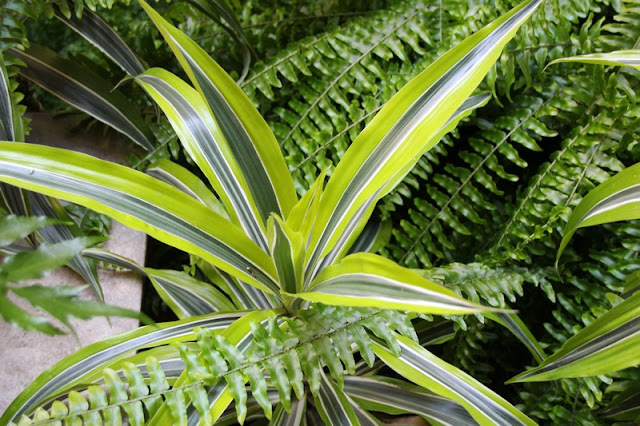 Isabella had a passion for horticulture and the courtyard itself is a work of art, beautifully designed and exquisitely planted. 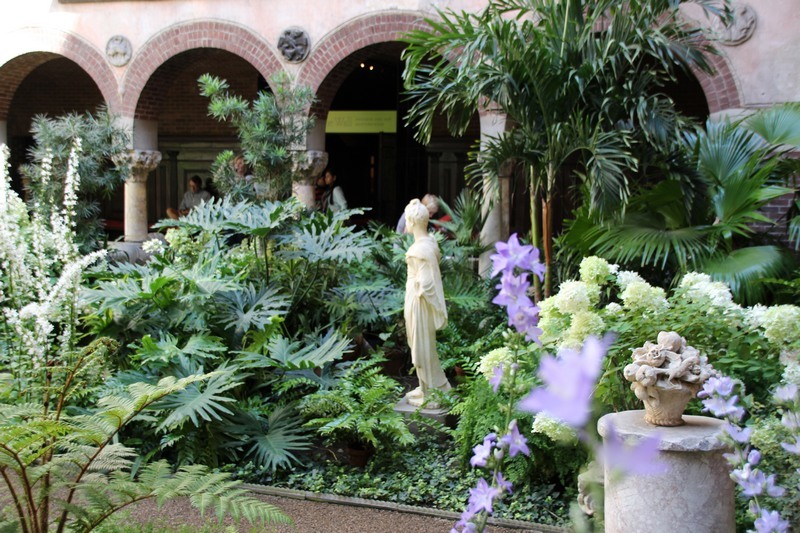 The floral display in the courtyard is changed throughout the year and includes azaleas, cyclamen, poinsettia in the winter, nasturtiums and delphiniums in early summer, going through to orchids, chrysanthemums and coleus in the fall. 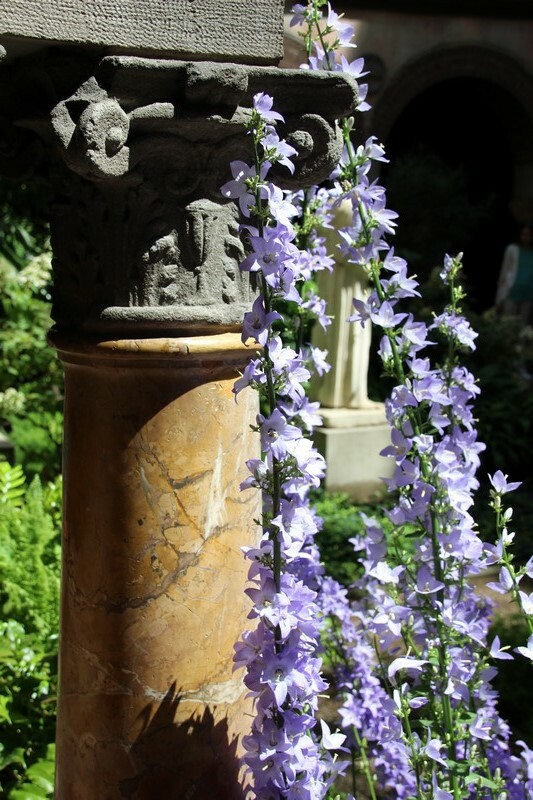 During our visit, there were pots of the delicate chimney bellflowers, Campanula pyrimidalis in white and blue, together with white hydrangeas all set among lush green ferns and other foliage.